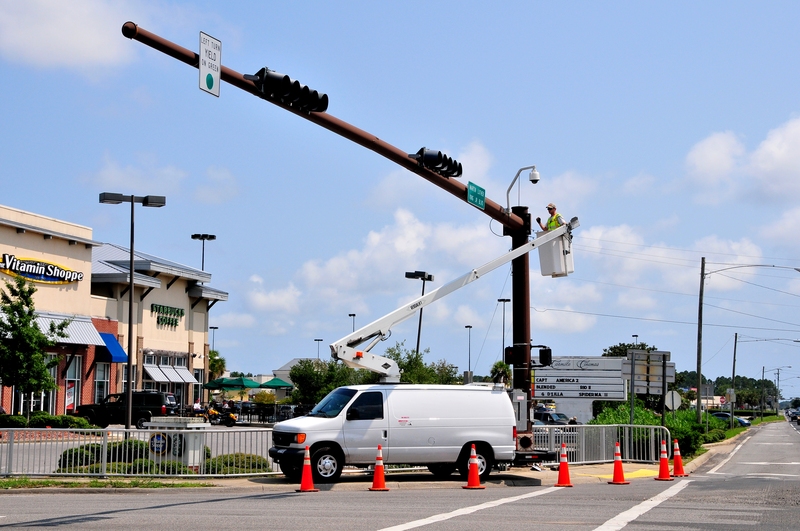 KCA received great news on November 13 when it was selected by FDOT District Four to be its Traffic Signal Mast Arms (TSMA) Inspection Services Consultant. For this successful pursuit, KCA teamed with subconsultants Bolton, Perez & Associates, Inc.; Louis Berger U.S., Inc.; and NOVA Engineering and Environmental, LLC. This five-year contract calls for KCA to provide the routine and interim inspections of all TSMAs within the District. Additional services include post-accident and post-storm inspections and evaluations. All inspections will be carried out under FDOT bridge and ancillary inspection procedures and regulations. KCA has shared a long working inspection relationship with District Four dating back to 1995 with our Local Government Bridge Inspection contract. It is the hard work and exceptional quality provided by KCA’s Bridge Inspection Department staff that paved the way for this win. Congratulations to the pursuit team including Patrick O’Grady, CBI; Ken Reinhold, CBI; Edward Burkett, CBI; Greg Ritzler, CBI; and Carlo “Skip” Ferrera, CBI. A big thanks to all that helped with the preparation of this Letter of Interest, technical proposal, and the marketing efforts that contributed to this win!